This Piece of Stunning Irish Regency furniture has just about everything the discerning Collector would want in their home. 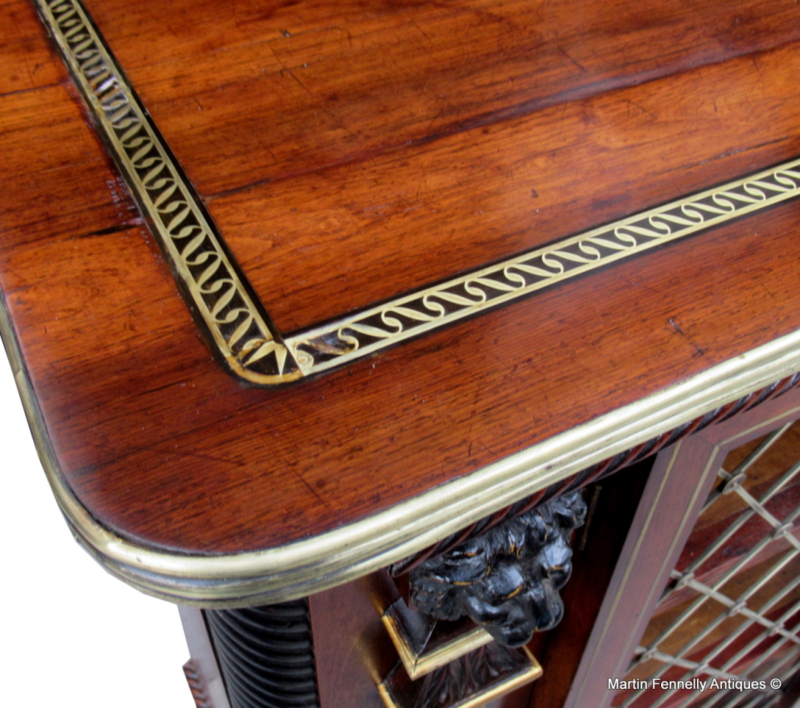 It dates to Circa 1810 and exhibits all the facets one would expect to find in a piece of Cork Furniture. 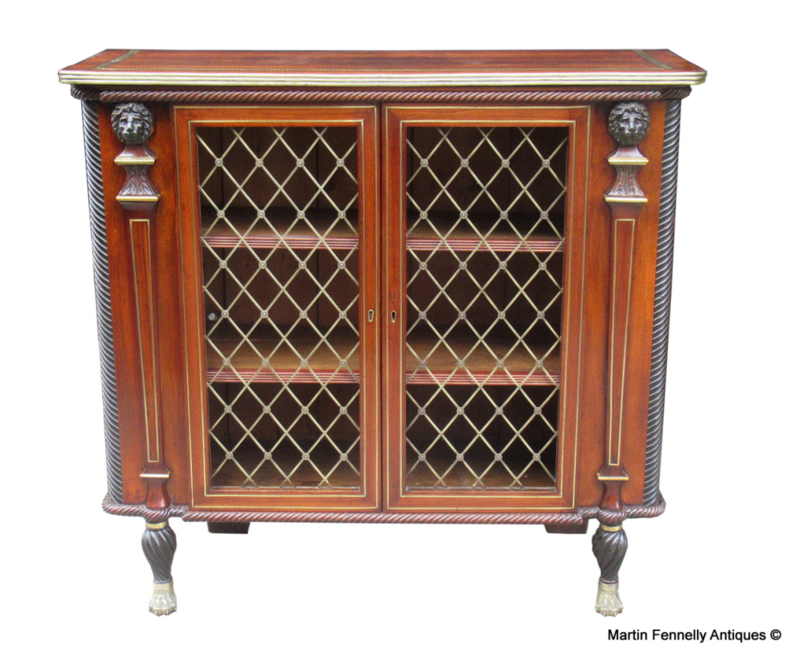 The well figured Rosewood Top with Brass Inlay and Reeded Brass edging sits above twin Mahogany doors with diamond pattern brass grill insert doors enclosing two adjustable shelves, flanked by stylish twin brass inlaid pilasters wit ebonised lion heads all raised on unusual polished brass lion paw feet. The sides and base of the cabinet with carved rope detail so typical of Cork furniture. 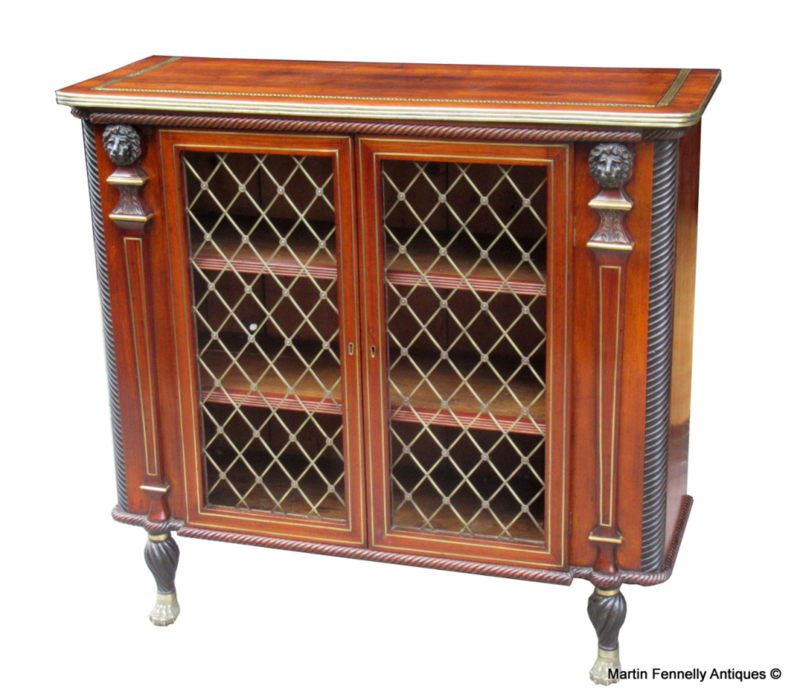 This is a rare piece of Irish History and has resided at Hockley Lodge, Armagh in Northern Ireland for nearly 200 years. The original owners of the Lodge were from Cork so no surprise that it was found at this location. 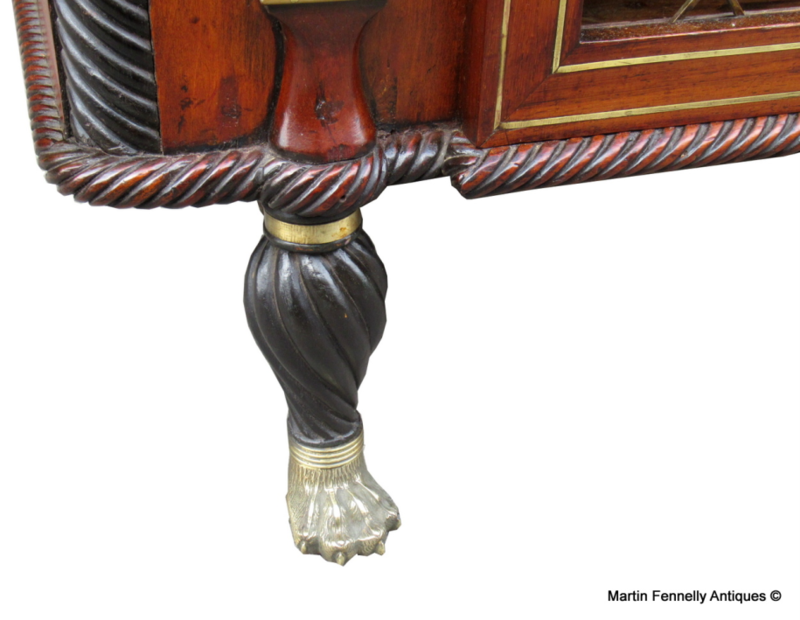 Our Master Restorers (Lancaster Antique and Restoration) renowned in Ireland for their work rekindled the patina and repaired some minor marks and now it is ready for that Museum or fine Georgian Property where it can spend the next 200 years.